Lancaster Postal Connections Achieves Top Sales Award! Postal Connections® in Lancaster Tops The Sales Charts! 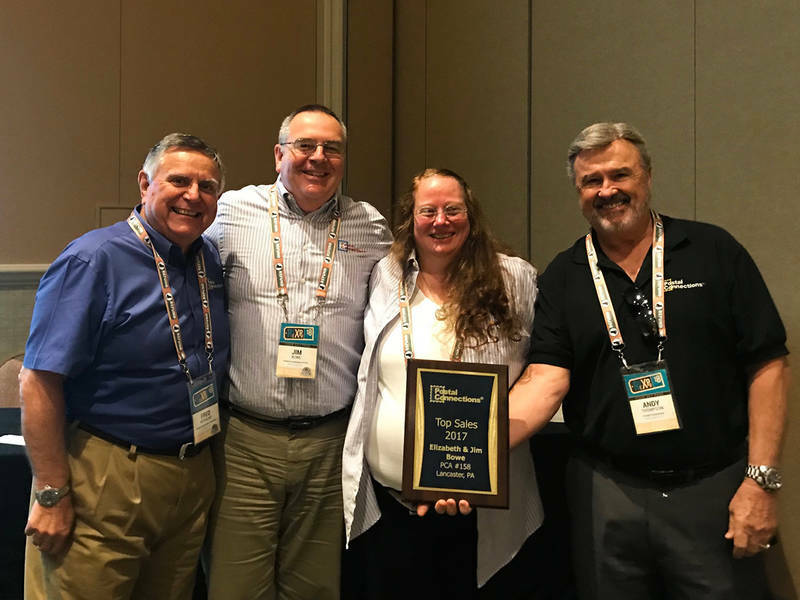 Jim and Elizabeth Bowe, owners of Postal Connections of Lancaster, were recently awarded for their sales prowess during the brand’s annual convention in Orlando. “Receiving this positive recognition from Postal Connections is such an honor,” said Jim. Located at 1653 Lititz Pike, Postal Connections in Lancaster has achieved national top sales status for more than eight years. Jim and Elizabeth joined the Postal Connections family more than 15 years ago with their store in Lancaster. The couple has since added two additional locations in Red Lion, 3151 Cape Horn Road, and in Ephrata, 848 East Main Street. Founded in 1995, Postal Connections is a growing franchise chain of postal, shipping and business service stores aimed at providing convenience for its customers. The current franchisor/owners bought the franchise company in 2007. Postal Connections stores operate by offering consumers and small businesses needed services and products that include shipping alternatives, packaging, freight, offset printing, creative services, copying, mail receiving, inkjet, toner and laser cartridges, notary, fax, office and shipping supplies and much more. Additionally, select locations provide sales services to households and companies through its iSOLD It® on eBay sales system. Learn more about how to own a Postal Connections and join the growing family.